New York City Family: Who In the World Came Up With The Idea of Push Gifts? Who In the World Came Up With The Idea of Push Gifts? I don't know who came up with the idea of push gifts but I am not complaining. When Rob learned that commemorating the birth of a child with a special gift to the mother is a thing for some people, he liked the idea. Whether it was the genius idea of jewelry marketers didn't matter. When Greyson was born, Rob got a ring for me. It is beautiful and I think about Greyson when I look at it. I meant to get the ring engraved with Greyson's birthday a long time ago...um, like two years ago when he was born, but I put it off. You could say I procrastinated a little bit. 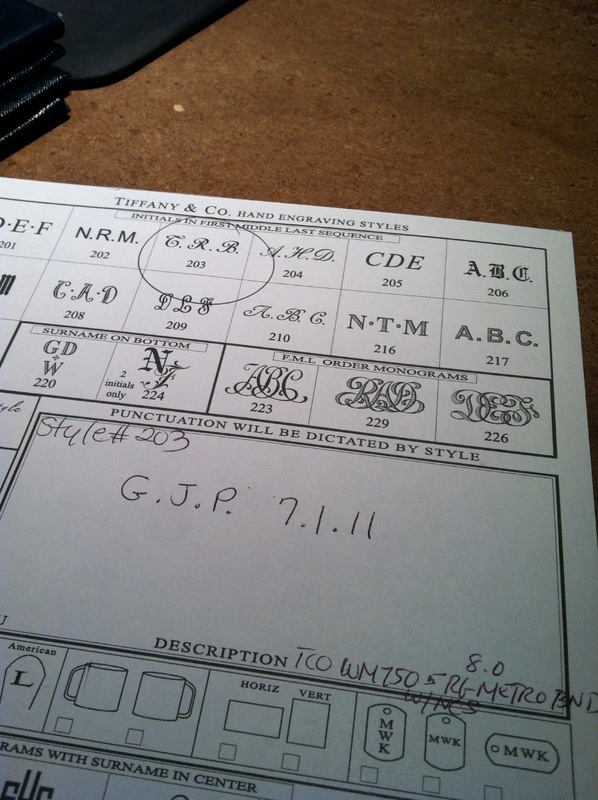 We were at Tiffany to get a wedding present a couple weekends ago, so I finally placed the engraving order. The ring will have Greyson's initials and his birthday. The woman at Tiffany said the ring would be ready on July 1, which happens to be Greyson's actual birthday. No one will see the engraving, but I'm excited that the ring will have Greyson's birthday in it. It'll be part of the ring's history. 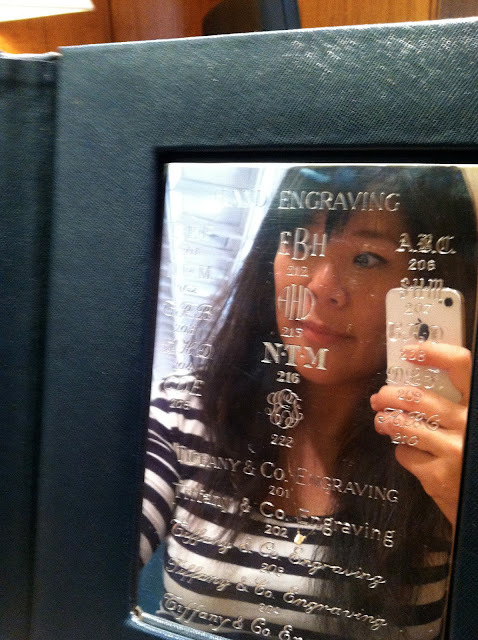 If you're into the idea of push gifts, consider getting something you can get engraved. It makes the gift that much more memorable. Labels: engraved gifts, gift ideas, jewelry, push gift, push presents, shopping, things to buy, Tiffany, Tiffany & Co.